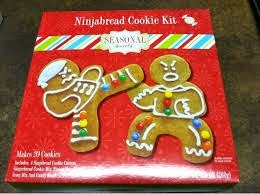 As a family Christmas gift my mom gave us a ninjabread cookie kit. We gave them a go this afternoon. 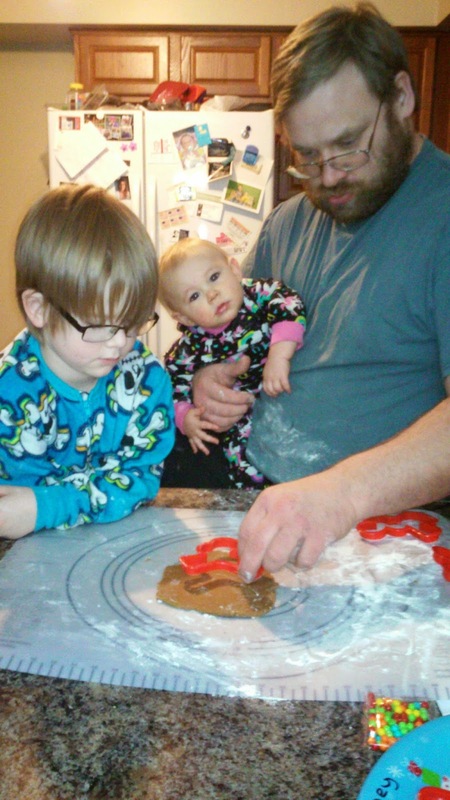 I made the dough and G, D, and Z cut them out. We plan to decorate them tomorrow so I will show you done pics then. This afternoon we had a suicide bomber in our house. When she grew tired of that she became a car bomber. 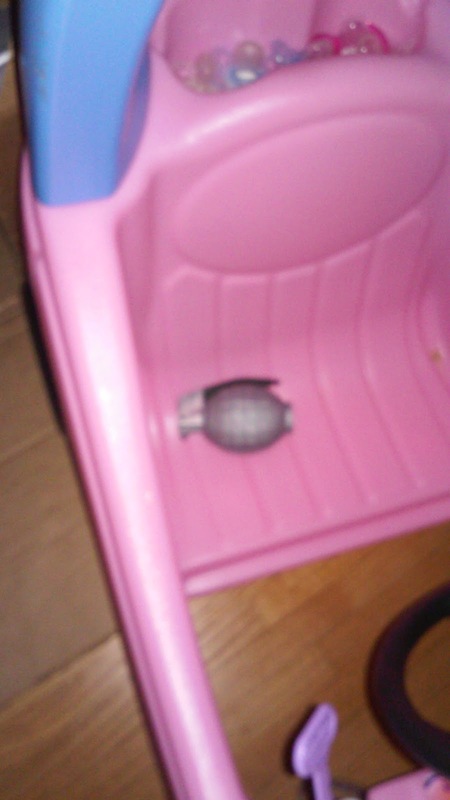 Yup my daughter got a grenade in her Christmas stocking. This thing has a tick down timer and a exploding sound. 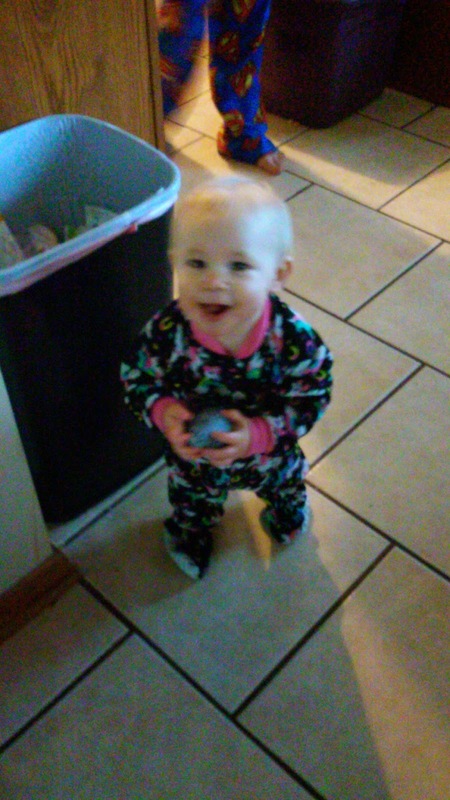 To her it is the best gift ever lol. I am so tired of Christmas but I still have 2 more parties this year. WHAT?! 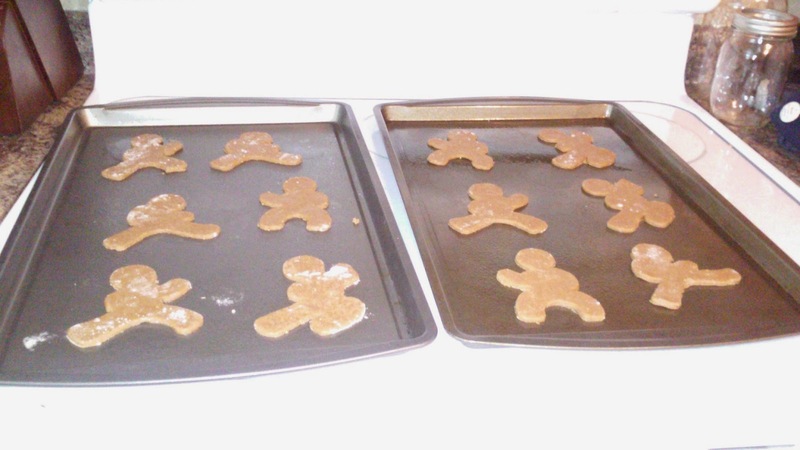 I need Ninjabread men!